An overhead door opener is an essential component of your modern garage door. 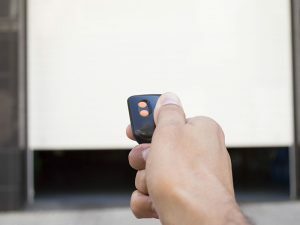 Drive systems, door monitors and transmitters are several available options for your new opener. The selection of quality materials coupled with a professional installation from “AAA” will assure years of dependable service. An AAA installation offers the latest in technology. Such technology includes battery backups and door monitors. In the event of electrical utility failure, a batter backup system will keep the opener in operation until the utility power returns. Where safety is a concern, consider installing a door monitor. We sell, service and install Liftmaster® Garage Door Opener in greater Chicago area. For door opener information and technical specifications, please click the link and visit the Liftmaster® website. Transmitters are offered in a generous assortment of styles, shapes and colors. Lost your original remote control? It is very likely that your lost remote control can be replaced with a new one that is comparable with your older system. Call AAA first! We are your overhead door opener installer and service professional in DuPage County.